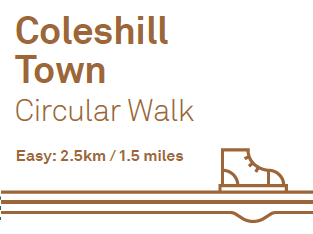 An easy circular trail walk around Coleshill town taking you along pavements, roads, and footpaths crossing fields. Landscape and path type: The route uses unsurfaced footpaths through arable fields, tarmacked pavements and roads. 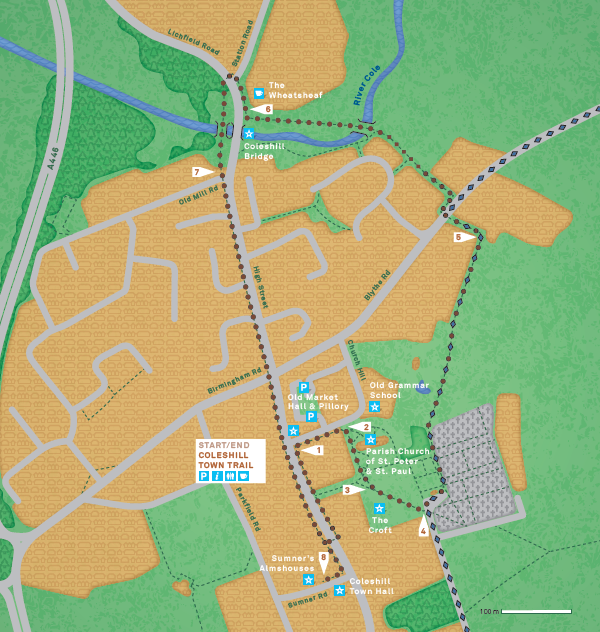 There are sets of steps, footbridges, slopes, pedestrian and kissing gates during this walk. Sturdy footwear is recommended.